Nyerians can now fly from Nyaribo Airstrip to Nairobi within 25 minutes after the launch of direct flights from Nyeri to Nairobi this weekend. The development will see full operationalization of the airstrip according to ICT, CS, Joe Mucheru and will go a long way in boosting tourism and trade. The pioneer of the flights, Bush Air Safaris, will make daily flights to and from Nairobi at an introductory one-way airfare of Ksh3,000. The airstrip is rarely busy and has mainly been used by students taking aviation training and visitors on occasion. Mucheru however said the sustained flow of flights would depend on its uptake, as he encouraged residents to take advantage of the new mode of transport. 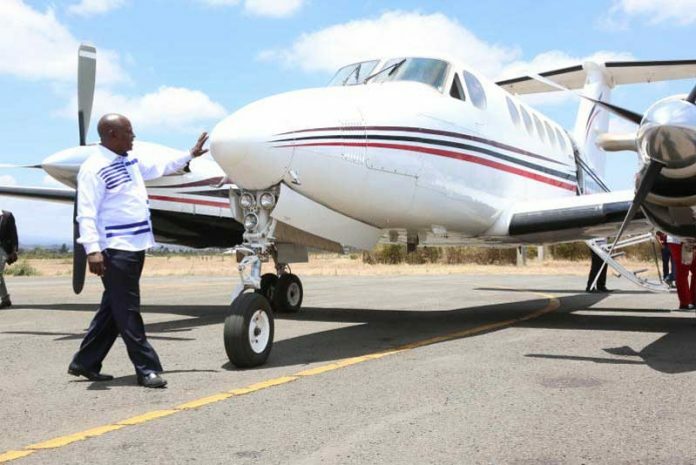 “ I believe we can have daily flights if we want, it depends on whether people want to take the three-hour traffic jam to Nairobi or just do a 25-minute flight,” said the CS who was representing Transport CS, James Macharia.